It's time again to focus on Mom with cards, flowers, and... picture books starting with baby, moving to preschooler and ending with a story of a little girl all-grown-up. 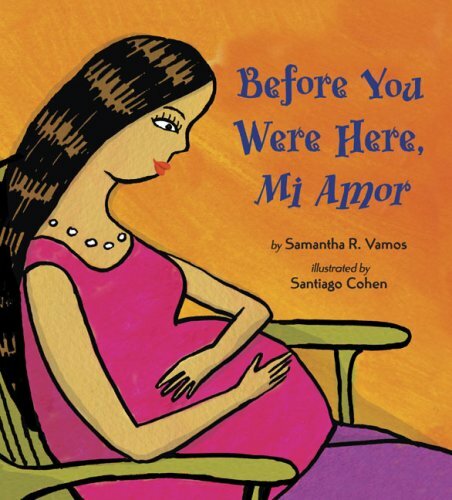 An Hispanic mother talks to her baby about all the loving thoughts, wishes, and preparations in the time before he or she was born. Filled with Spanish words that flow seamlessly within the text, the book brings a fresh take to the mommy-love category of picture books. The illustrations make the translations clear, though a glossary is included at the end. For example, the picture of the little girl with her ear on mommy's tummy with "Before you were here, tu hermana placed her face against mi barriguita and whispered, "¡Hola, bebe!" Oh, and before we drift too far from illustrations - or fresh takes for that matter - the artwork with its bright colors and bold lines is a nice change from the usual pastels that tend to dominate these books about a mother's love. Definitely a keeper, and if you don't believe me, you can check out the universal five-star ratings at Amazon's reviews. As a mommy and daughter share a regular day, the little girl recounts all the wonderful things a great mom can do. The glowing testimony to a mother's love starts in the morning, "with a whirl and twirl across the fuzzy purple rug, she swoops down on my bed and scoops me up into a hug. Nobody wakes me up just like mama." At the end, it becomes a love letter right back, "Nobody loves mama just like me!" 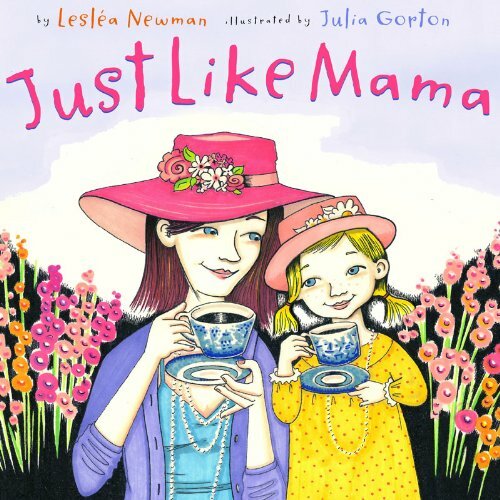 This sweet book will remind you of all the little things that us moms do right. Things that are sometimes perfect in their very ordinary nature - like brushing hair - or ordinary things that can be made special with an extra touch - like whipped cream in the cocoa. Simply delightful for young readers. A grown-up daughter tells the story of her and her siblings' years in their mothers' house. 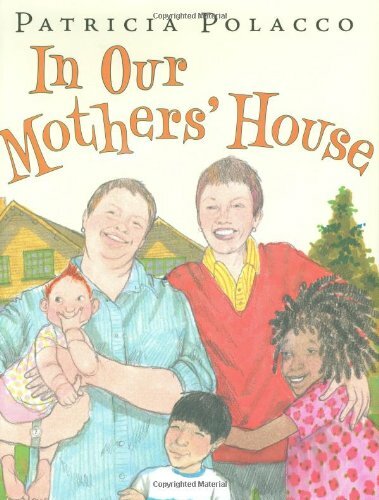 And note that apostrophe, because this is a book about two mothers and their adopted kids. The topic is handled in a nonchalant manner, except for occasional reference to a neighbor who "just plain didn't like us." Okay, and one page where the neighbor spits out her hatred of the two moms. But after that, it's back to the block party, and making dresses and growing up. Regular life. Polocco's illustrations are always special, and here they capture the love of this beautiful family. The amount of text and meandering story would make it a better choice for older picture book readers or younger ones with longer attention spans. Overall, a wonderful view into family, love, and acceptance.